Chloe is peeking her head out to say Happy Spring! It still doesn't feel like spring here...but we are hoping to see temps in the 40's this week...so we gotta be happy about that! 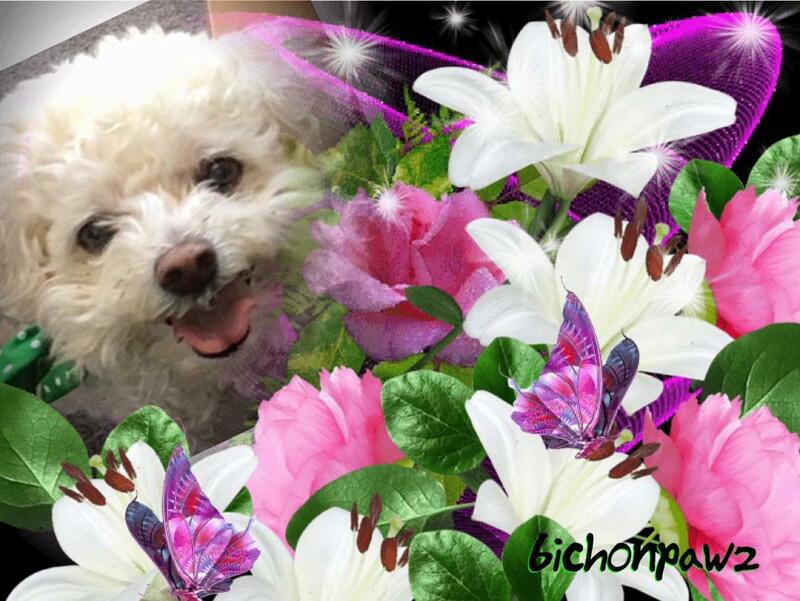 Hey Chloe, you look beautiful in those flowers - we hope Spring comes to you soon. Happy spring to you too Chloe. I was out today and even though it looks nice out the wind is still quite cold. What a sweet photo of you, Chloe! Happy cold Spring! Chloe....you are the pretties bloom in the bouquet. Hope ya get some spring weather soon! Ghostwriter and dad are hoping it gets warm enough to skip mud season. With that smile, we are sure Spring will head your way!! You are looking very springy! Mom says we will have springy weather for the weekend and into next week!